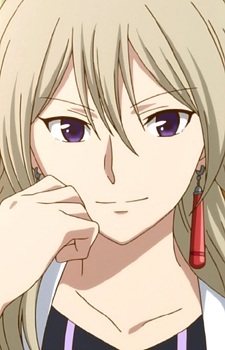 She's the Chief Pharmacist of Clarines and the one gives Shirayuki the test to become a royal pharmacist. Garack oversees the research and projects of the pharmacy and gives missions to Shirayuki and Ryuu. However, she can be extremely laid back and moody and has her subordinates handle it. Garack is admired by many for her work. Even the faraway kingdom of Lyrias where Shirayuki and Ryuu are sent, know Garack and were in fact hoping she would be coming instead. In this episode of Akagami no Shirayukihime, our heroine takes the court herablist exam.